On 17 May 1881, thirteen Windsor Scotsmen met in the Good Templars' hall to form a St. Andrew's Society to promote the perpetuation of Scottish culture and tradition. They decided to ask Donald Cameron, who was not present at that meeting, to be the society's first president. The other offices were filled by John Kirkland, vice-president; J. W. Peddie, secretary; and James Dobson, treasurer. J. G. Reid, Thomas McGregor, George Call, Donald Grieve, John Stuart, Alexander Dobson, Gideon T. Wilkie, James Dyer, Thomas Burnie, and David Reid were also present. Mr. Cameron took office on 30 May; at that meeting, Reverend John Gray of St. Andrew's Presbyterian Church became the society's official chaplain; John Rattray became its piper; and David Reid its colour guard. (Reid became the last surviving founding member of the society in 1919. To honour him, the society created the office of Honourary President, which he filled until his death.) A "social meeting" was held on the 29th of June, according to the society's minutes, and Windsor was well on its way to having an official Scottish fraternal organization of its own. The St. Andrew's Society of Windsor formed as a charitable organization whose motto and primary object was to "relieve the distressed;" especially distressed Scottish brethren. Over the years, the society financially assisted organizations such as the local Home of the Friendless (an orphanage) and the Muskuoaka consumptive's hospital, and built a room at the tuberculosis hospital at Union-on-the-Lake in Michigan. Meetings were held monthly and spent in fevered discussion of some aspect of Scottish culture, and the society enjoyed its peak around the turn of the century. "A fresh spirit seemed to pervade all the members," wrote former society secretary Andrew Braid. "Each [monthly] meeting was devoted to some Scottish author or other subject, and the items on the programs all had a bearing on the theme of the evening; Tamnahill, [Sir Walter] Scott, Lady Nairn, Hogg, Burns, Campbell, the Jacobites, Scottish battlefields, besides mized programs and smoking and card parties." 1 Donald Cameron and Colin MacDonald would send the society sprigs of heather and other souvenirs and Highland paraphernalia during their annual trips to Scotland, ensuring that even the members who couldn't make the transatlantic voyage back to the homeland were never far away from their Scottish roots. The St. Andrew's Society of Windsor was primarily a social organization, a place where local Scotsmen could gather in their tartans and reminisce about their Jacobite ancestors, childhood memories of the auld country, or the ideology in certain works of Robert Burns. It was also a place where they could celebrate the customs and holidays of Scotland. On 30 November 181, the founding members celebrated the society's first St. Andrew's Day with a haggis dinner and a concert in the town hall. This tradition continued every year. Although the members considered dropping the annual celebration in 1914 due to the limitations caused by the First World War, they instead modified it and held a free, small gathering in the public library auditorium (the following year the celebration was held in the school room of St. Andrew's church). In 1916, the concert and dinner was held at Camp McGregor's mess-room for the entertainment of the 241st Battalion, Canadian Scottish Borderers, which was waiting to depart for Europe. The St. Andrew's Society and the Border Cities Pipe Band hosted the men of the 241st Battalion who had returned from the war for the 1918 St. Andrew's Day celebration at the auditorium of the Collegiate Institute. As crucial to Scottish heritage as St. Andrew's Day was, no respectful Scottish organization could pass over the Bard's anniversary. So in 1894, the St. Andrew's Society of Windsor commenced to hold an annual Burns' Night celebration. The first celebration was a concert, and the next two were suppers held in the Crawford House. (In 1897, the Borderers of the Sons of Scotland took over the festivities.) These suppers were not without excitement: county councilor Napoleon Coste of Amherstburgh delivered "an exceedingly racy speech" at the 1895 dinner, for example. The following year, Mrs. John Stuart was supposed to make the main bill of fare, the haggis. However, she fell and broke her arm several days before the dinner, and was thus incapable of making the featured course. A. M. Stewart, the president, and Andrew Baird, the secretary, agonized over what course they should take, and finally decided to ask the chef of the Crawford House to make an extra fine English plum pudding, which they would try to pass off as haggis. On the night of the supper, the "haggis" was brought into the dining room with all decorum, borne by Reid, the colour guard, and preceded by the piper, and set in front of President Stewart, who did the honour of cutting and distributing it among the tables. But "some keen-scenting Scot sniffed at the dish," Baird reminisced, "and remarked, 'A gey (very) queer haggis, Stewart!' and others in turn tasted the stuff dubiously. At last one man openly declared he 'had his doots' as to the mess and stoutly maintained that it was plain, ordinary plum pudding" 2 Stewart tried to deny it, but the charade was too transparent to conceal. At last he admitted to the deception, which, Baird recalled, was "received with great laughter." 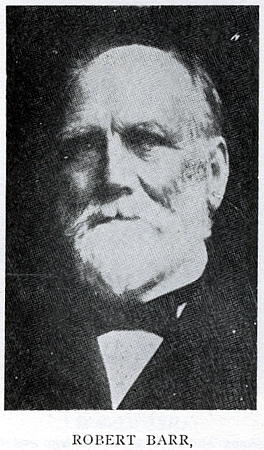 Braid, who was secretary from 1890 until 1906, was in charge of exchanging annual St. Andrew's Day greetings with sister societies until 1897. That year, the society created the office of the Bard and elected Robert Barr to fill this position, which he held until his death the following year. Afterwards, the office was dropped, ensuring that Barr would remain the only official Bard in the society's history. Andrew Baird explained that this office evolved from a long-running pun conceived by President A. M. Stewart, who would open the annual elections by moving that the society add the office of the Bard, and that Mr. Barr be the Bard, and that Braid be debarred. After Barr's death, the correspondences fell once again to Braid. The annual greetings to sister societies sometimes spoke to special occasions; for example, when the Toronto St. Andrew's Society held a ball in 1896, the Windsor branch sent a light-hearted Scots-language verse that played on Robert Burns' poem, "Tam o'Shanter." To see the cause o' sic a din. Nor do we see that Cutty Sark." Must play the man, and act his part. Our heart are sore, we have no fear. Then, cheer Britannia, three times three! Brave Belgium! France! and every friend! Are we downhearted? No! Not we! Our cause shall triumph in the end!" And hae the Germans beaten. And send him hamewards greetin'." "We are fetchin' the Germans yet. And promises nae man can trust. And that dour, canny Fifer, Haig." "Dae ye see oor smile? Dae ye ken what it for? Ye are richt the first guess-we're the conqueror! Efter four years o' fetchin' a devilish foe. WE are on tap, and the HUN is below!" Many prominent members of the Scottish community served as presidents of the St. Andrew's Society, including Donald Cameron, Alexander Bartlet, Colin MacDonald, Archibald McNee, R. F. Sutherland, George Bartlet, Alexander Gow, Walter L. McGregor, Jr., and Rev. 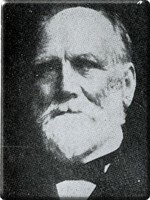 J. C. Tolmie. Unfortunately, the pressures of the Great Depression put too great a strain the organization, and it had disappeared before the post-war period. It wasn't until the formation of the Scottish Club of Windsor in the 1960s that Windsor Scots had a place where they could gather together and share their proud traditions again.